When your favorite recipe calls for shrimp, you’ll want to source fresh seafood at your local market. Once you’ve snagged a pound or two of delicious and protein-rich shrimp, your biggest task is properly cleaning each piece so your dish is tasty and you don’t waste any morsels unnecessarily. If you’re looking to sharpen up your technique, here’s some insight on how to clean shrimp like a professional. What Tools & Preparation Are Required? Before cleaning your shrimp, perform a quick check to ensure each piece is fresh and ready to consume. This type of seafood should not have a particularly fish-like smell. Instead, they should smell clean and relatively odorless. Next, prepare two bowls of ice water, one for shrimp waiting to be cleaned and the other for those you’ve already tackled so you don’t compromise freshness while you work. To quickly and easily remove shells and veins, you’ll need a sharp paring knife and a deveining tool. 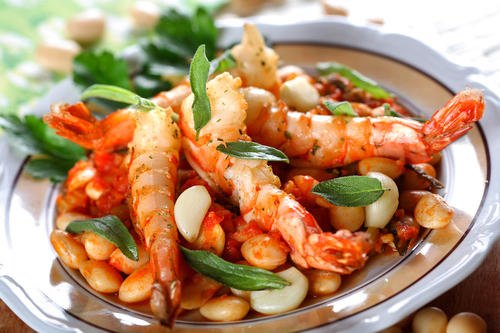 What Steps Should You Follow to Ensure Shrimp Is Clean & Ready to Eat? If you’ve purchased shrimp that includes the head, use your paring knife to cut this portion off. Next, turn the piece around and begin removing the shell by pulling firmly at the legs. Slowly, remove the shell in its entirety. Depending on the recipe, you may want to leave the tail attached or pinch the ends so it’s taken off along with the shell. Once the shell is completely removed, make a shallow cut with your knife along the back of the shrimp to expose the black vein. Remove the vein using your knife, a deveining tool, or even a toothpick and place the cleaned shrimp in a bowl of ice water for a final rinse before starting the cooking process. Billy's Seafood, conveniently located in the heart of Bon Secour, AL, is your one-stop shop for fresh seafood year-round. If you’re craving succulent shrimp, red snapper, or crawfish the entire family will enjoy, visit their market on River Road. To find out what the day’s best catches are, give them a call directly at (251) 949-6288. You can also visit their website to find out how they source their fish and why they’ve been the local market of choice since 1975.